Trek deep into the rainforest in search of the elusive mountain gorilla. 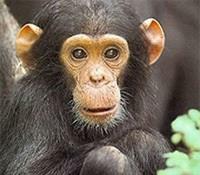 Explore national parks and spot chimpanzees in their natural habitat. Trace the Nile to its southern source. Spot crocodiles, hippos, and waterfowl on the shores of Lake Tanganyika. Hike the coronation path walked by traditional Burundian kings. Witness flowing lava on the hillside of an active volcano. The enveloping rainforests of Central Africa hold many mysteries, and they don’t surrender them readily. This suits its residents just fine; the wildlife that inhabits this leafy kingdom are among the world’s most elusive creatures, and any adventurer lucky enough to catch a glimpse of them will never forget it. This Explorers Club Collection tour gives you the chance to reconnect with some of your (very distant) relatives, heading deep into the trees to follow in the footsteps of zoologists, adventurers and kings on an extraordinary journey through time. It begins in Kigali, Rwanda’s capital, with a tour of the city before heading north into the mists of Volcanoes National Park. Here, you’ll have the chance to come into close contact with mountain gorillas — the gentle giants of the primate world and subject of Dian Fossey’s landmark 18-year study — on a full-day trek. The adventure continues in Gisenyi, where you’ll travel up into the Virunga Mountains in search of the endangered lowland gorilla. 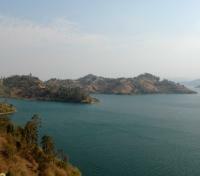 Later, head out onto Lake Kivu (one of the world’s deepest lakes) aboard a private boat to explore Napoleon Island, home to a colony of fruit bats. Next, head into Burundi via a morning drive along the Rusizi en route to an afternoon spent tracking hippopotamuses and Nile crocodiles in Rusizi National Park. (Keep an eye out for “Gustave,” the notorious 20-foot-long croc who patrols the river and Lake Tanganyika). Later, visit the cradle of Burundian culture in Gitega — site of the historic Treaty of Kiganda that compelled German colonizers to recognize the mwami’s rule — where you’ll walk the coronation route and take part in a performance by local dancers, musicians and sacred royal drummers in Gishora. Trace the southern source of the Nile in Rutana and restore yourself in the thermal hot springs of Muhweza. Your final stop is a memorable one: Tanzania’s famed Gombe National Park. The site of Jane Goodall’s extensive chimpanzee study, this remote park on the shores of Lake Tanganyika brings you into close contact with its inhabitants via guided excursions through the forest and up Jane Goodall Mountain. 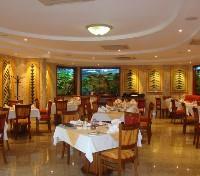 Enjoy a hot lunch at Kigali Serena Hotel. Private vehicle transfer from Kigali City to Ruhengeri (Musanze). The approximate travel time is 2 hours. Five Volcanoes Boutique Hotel in Musanze (Ruhengeri) is located on the road to Kinigi and is the perfect starting point for different activities that the Volcanoes National Park offers. At the Five Volcanoes Boutique Hotel, the aim is to make your stay a pleasant and memorable one. This hotel has an atmosphere unique to Musanze but also gives you opportunities to rest and to enjoy the relaxing atmosphere of the lodge. 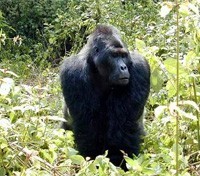 After breakfast, begin trekking the forest at 7 a.m. in search of one of the region’s many families of mountain gorillas. Following a Rwanda Development Board ranger briefing, you will advance to the trek’s starting point. Be sure to wear trekking boots and bring water, a packed lunch (provided by the hotel), and a raincoat. Gorillas don’t follow a schedule and spotting them is not guaranteed, but this time of day is your best chance to observe and photograph them in the wild. In the afternoon, take a short drive to Gisenyi, a pretty town on the northern edge of Lake Kivu, and spend the evening at leisure at your hotel. This is your daily per person Gorilla Permit fee. Serenely sited on the white sandy shores of Lake Kivu, the sixth largest lake in Africa, and surrounded by extensive tropical gardens; the tastefully open-plan Lake Kivu Serena Hotel offers the ideal destination in Rwanda for an extended holiday or simply a week-end escape. 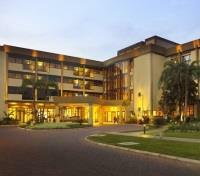 Within several hours drive of both the Rwandan capital, and the glorious Volcanoes National Park (home of the world famous mountain gorillas), it overlooks its own private beach and offers; 66 luxury hotel rooms, executive suites and family accommodation, a panoramic restaurant, indoor and beachside bars, a luxury swimming pool, and the ‘Maisha' Health Centre (offering an extensive range of health and beauty regimes, boating, swimming, volley ball, tennis, fishing, hiking and trekking). This hotel on Lake Kivu also boasts a world-class fully-integrated Conference Centre, a distinguishing service offering in Rwanda. After another early start and a satisfying breakfast, take a 2.5-hour transfer to the Rwanda/Democratic Republic of the Congo border at Gisenyi/Goma. Take in the day’s briefing at the Virunga ranger post, then head to the trek’s start point. (Don’t forget to wear your trekking boots and bring water, a packed lunch from the hotel, a raincoat and walking stick.) Local porters will be on hand to help with your luggage. Half of the world’s gorillas live right here in the Virunga Mountains, but it may take some time for your guide to locate these notoriously shy creatures. Your patience will be rewarded with a full hour of observation and the chance to take photos. 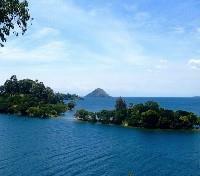 In the afternoon, return to Gisenyi and spend the evening at leisure at the hotel. Note: Application for the entry visa is applied for online, all visitors must have the Yellow fever vaccination certification. After breakfast, leave the north of Lake Kivu descending to South Western Rwanda along the shores of Lake Kivu, a pretty town on the lake, where you have stunning sceneries. Spend some time sightseeing along the Lake drive and arrive at the lodge in time for Lunch. Enjoy a hot lunch at Cormoran Lodge. By late afternoon, take a private boat excursion from the lodge towards the Napoleon Island to visit the colony of fruit bats. The activity lasts up to 2 hours with return to the lodge. Evening relax. Dinner and overnight at Cormoran Lodge. The Cormoran Lodge is a newly constructed resort built on the shores of the beautiful turquoise Lake Kivu, considered to be one of the most prestigious and picturesque locations in all of Africa. 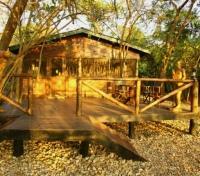 This Lodge has five chalets and a restaurant, with the entirety of the construction done of natural wood. After breakfast, depart for the Cyangugu province, on the further to the Southern coast of the lake. 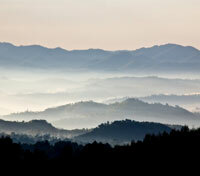 The small town located here is the gateway to Nyungwe Forest National Park. 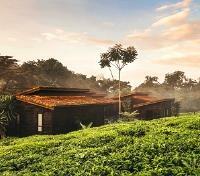 Nyungwe Forest Lodge is a real Eden overlooking the forest and Lake Kivu. A hot lunch at the lodge in Nyungwe is included, here you will have a bit of time to relax, before heading out to one of your optional activities. Canopy walk - Take the drive to the starting point of Nyungwe forest at Uwinka Visitors center for the canopy walk activity. The activity takes about 1 hour, it is a walk over the canopy of the vast Nyungwe forest and the walkway stretches towards the Kamoranjovu marsh with its dense population of birds whose echoes can be heard vividly. 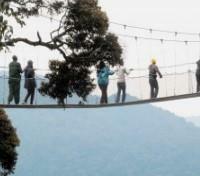 The 90 meters walkway is a mesmerizing experience and a must do for adventurous travelers. 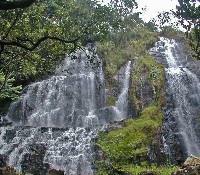 Water fall trail / Hike – Take the Isumo waterfall hike which is about 10kilomentres and lasts about 4 hours of walking through parts of the Nyungwe forest, tea farms and well as a number of tree species and especially ferns to the point of descending down to the waterfall. It is a typical nature based activity with plenty of time to spot some of the endemic bird species like the Rwenzori Turaco. Return to the lodge for dinner and overnight at Nyungwe Forest Lodge. Note: The journey takes up to 3 hours according to the conditions of the roads. Alongside ancient rainforest and within the lush green expanse of a working tea plantation, the One & Only Nyungwe House offers an exclusive window to Africa’s fascinating wildlife and culture. The One & Only Nyungwe House’s 22 luxury rooms and suites are situated in five stunning wooden villa clusters. The staff at the One & Only Nyungwe House are experts in curating immersive tailored experiences, from gastronomic picnics to wild chimpanzee tracking and indigenous, open-air spa treatments. The awe-inspiring, once-in-a-lifetime moments are sure to amaze you at every turn. Early this morning, depart the lodge with a boxed breakfast and head out on an exploratory journey through the lush Nyungwe rainforest in the search of local wildlife, specifically chimpanzee. Enter the forest by 6 am for the trekking of the chimpanzee and other primates like the beautiful Angolan colobus. The park is spread for over 970 sq km of green hills, the largest uncontaminated piece of tropical forest in Eastern Africa. Nyungwe hosts 13 species of primates, including the chimpanzee, the Rwenzori colobus, the Hoest Monkey, the silver monkey, owl faced monkey, red tailed monkey, velvet monkey and olive baboon. Enjoy a hot lunch from the lodge, the rest of the day is spent at leisure. Dinner and overnight at Nyungwe Forest Lodge. Private vehicle transfer with English speaking guide from Nyungwe to Bujumbura. The road is panoramic and traverses the highlands before descending to the semi arid savannah near Lake Tanganyika. 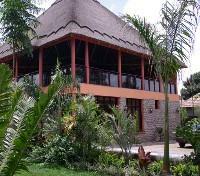 Arrive in Burundi in Bujumbura for lunch at the hotel – Club du lac Tanganyika Hotel. In the afternoon you can visit Rusizi reserve, the delta of Rusizi River where, from the view points, you can observe African dwarf crocodiles, hippos, water snakes and many species of water birds including the African white faced duck, kingfisher, black herons, pelikans. Dinner and overnight at Club du Lac Tanganyika Hotel. Note: Application for the entry visa can be processed and obtained at the entry point or applied for and obtained at the Embassies abroad. Hotel Club du Lac Tanganyika is located in the heart of Africa, in a spacious park that ends up on a spectacular beach on the banks of the Lake Tanganyika. 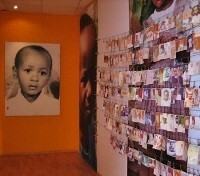 Hotel Club du Lac Tanganyika contributes to social, cultural and tourist activities in Burundi. The hotel has an outdoor pool and views of the lake, and guests can enjoy a drink at the bar. Each room at this hotel is air-conditioned and fitted with a flat-screen TV. Some units have a seating area for your convenience. Specific units include views of the pool or garden. 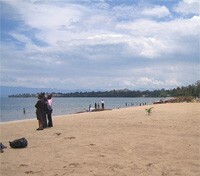 Hotel Club du Lac Tanganyika offers a relaxing accommodation in an intimate environment on the shore of Lake Tanganyika. 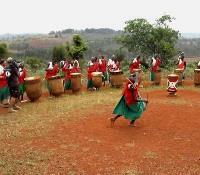 After breakfast at 8am, your Burundi tour heads to Gitega in the central Burundi. The first stop over is in Bugarama which is 1.5 hours from Bujumbura, to discover the life style of the Batwa, the local handicraft and bee culture. Visit the historical site of the Treaty of Kiganda, where you see the walk of the coronation of the traditional king. A packed lunch from Club du Lac Tanganyika Hotel is included. Gitega is the second largest town of the country, with its typical colonial architecture. It hosts the National Museum with its ethnographic and archaeological collections. 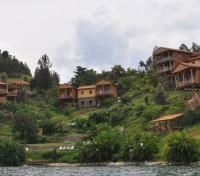 In the afternoon, visit Gishora which is another 30 minutes’ drive from Gitega. Gishora is the village of the sacred royal drums, where in a special theatre you can see to the performance of Burundian dancers and musicians. Dinner and overnight at Helena Hotel. Transfer time: 6 hours – including stops and visits at the local activities. 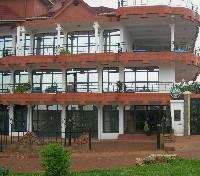 Helena Hotel is located close to the central square of Gitega. 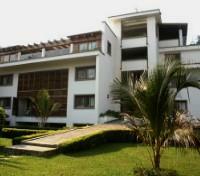 The hotel is built on 3 floors and was founded by three brothers from Gitega. Guest rooms are comfortable and feature a bathroom with hot water, television, Wi-Fi and some feature a terrace. There is also a Bar Restaurant and a small garden on-site. After breakfast at 7:00am, head further to the Southern Burundi and the region of Rutana where you will visit Rutana - southeast source of the Nile and Muhweza thermal water. Reach the town of Rutana and visit the Southest source of river Nile and the commemorative pyramid and then visit the Muhweza thermal water hot spring. A typical Lunch is included in a Burundi restaurant. In the evening arrive at Lake Tanganyika. Dinner and overnight at Club du Lac Tanganyika Hotel. Transfer time: 7 hours – Including stops and visits to the activities sites. After beakfast, begin the drive along Lake Tanganyika to the border of Tanzania where you board the boat to Gombe Stream National Park, in Tanzania. Prepare your passport for the formalities. The transfer up to Gombe Steam National park is organized by motorized boat from the point at Kigoma water point. The transfer on water lasts two hours up to the island Lodge. Gombe Stream is one of the most interesting projects for the conservation of the chimpanzees and there are no roads connecting to these mountains on Lake Tanganyika. Enjoy lunch at the lodge on the island. Dinner and overnight at Gombe Forest Luxury Lodge. Note: The private boat can set off any time during the day and is pre-booked from the lodge at the Island. 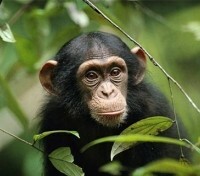 All conservation fees charged go directly to the conservation project of the chimpanzees on this island. Situated on the shores of Lake Tanganyika, Gombe Forest Lodge has been designed with every comfort in mind, all while minimizing the impact on the remarkable surrounding landscape. The lodge’s seven spacious luxury tents are set on wooden platforms and are shaded by huge mango trees along the lake shore. Each tent has a private viewing deck, equipped with safari chairs and a table, enabling fantastic views of Lake Tanganyika and the wildlife that flocks there. 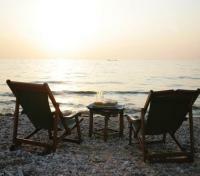 Enjoy breakfast, lunch and dinner in the tented dining room or an exciting barbeque on the beach. 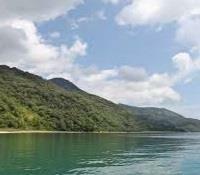 Enjoy exciting chimpanzee treks, forest walks, bird watching expeditions, swimming and snorkeling. For guests wishing for something a little more low-key, a small library is available with a selection of books and novels. 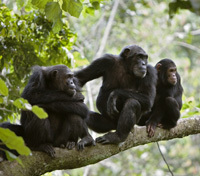 After breakfast, the whole day is dedicated to the activities of the chimpanzee trekking in Gombe Stream. Tracking the chimps of Gombe is a magical experience. The guide's eyes pick out last night's nests - shadowy clumps high in a gallery of trees crowding the sky. Scraps of half-eaten fruit and fresh dung become valuable clues, leading deeper into the forest. Lunch is included at the lodge. 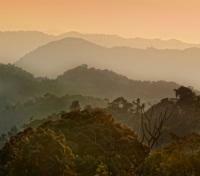 In the afternoon, you might decide to trek through the forest up to the Jane Goodall Mountain. Dinner and overnight at Gombe Forest Luxury Lodge. Breakfast at leisure, transfer back to Kigoma jetty point by boat, meet again with the local guide/driver and drive to the Manyovu border of Tanzania/Burundi. 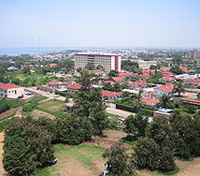 Proceed with local guide and vehicle to Bujumbura International Airport. Note: The private boat can set off any time from the lodge during the day and is pre-booked from the lodge at the Island. 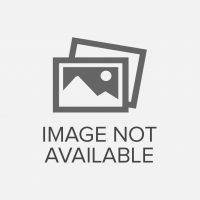 This is important for booking ongoing flights. Note: Kigoma point is also a local airfield where there is a possibility to organize regional flights both scheduled and chartered from Kigoma to Tanzania, Uganda, Rwanda & Burundi (for holiday continuation purposes).